We provide Tackle, Ice, Bait, Kayaks, poles, lures and a great time.. All you have to do is bring a small lunchbox size cooler with your choice of drinks and snacks and a Florida Saltwater Fishing license. All persons under 18 do not need a fishing license. We guide bay charters,gulf charters and back country charters. Up to 4 people at a time depending on their fishing experience. We can take more if they are experienced kayak fishermen. Ask about Kayak Fishing in destin Group Rates. ASK ABOUT OUR NIGHT FISHING TRIPS!!! It is much cooler fishing at night when the summer temps can be super hot and uncomfortable. We fish dock lights and underwater green lights at night and all of our kayaks are equipped with LED lights for navigation. Trip Durations and Kayak Fishing Charters that we offer. Call for peak season and off season rates! If you decide you want to lock in a date. . You can also call us at 850 797 9632 if you want to pay via phone. We can accept deposits via phone with a cc #. Ask about our 10% off MILITARY DISCOUNTS kayak fishing charters. Bad Weather Policy - Unless you hear otherwise from us, your guide will be at the launch location at your reserved time. Each guide has access to up to the minute weather radar and watches the weather carefully. Should threatening weather (thunder, lightning, high waves, high winds) force us to cancel the trip (decision made by your guide), every attempt will be made to give you priority when rescheduling. If you cannot reschedule, your deposit is good for a 6 month period of time. After such time, the deposit is forfeited. Please allow up to 72 hours for refunds to be issued. Florida's weather can be unpredictable, but it can also create some of the best fishing conditions. We will take it one adventure at a time. If the weather deteriorates during your charter, it can be a great time for a short break. Other times we may need to reschedule your trip. There are no fees and your next trip will receive top priority. We will take it on a trip to trip basis, factoring in safety, comfort level and the specific conditions for that day. 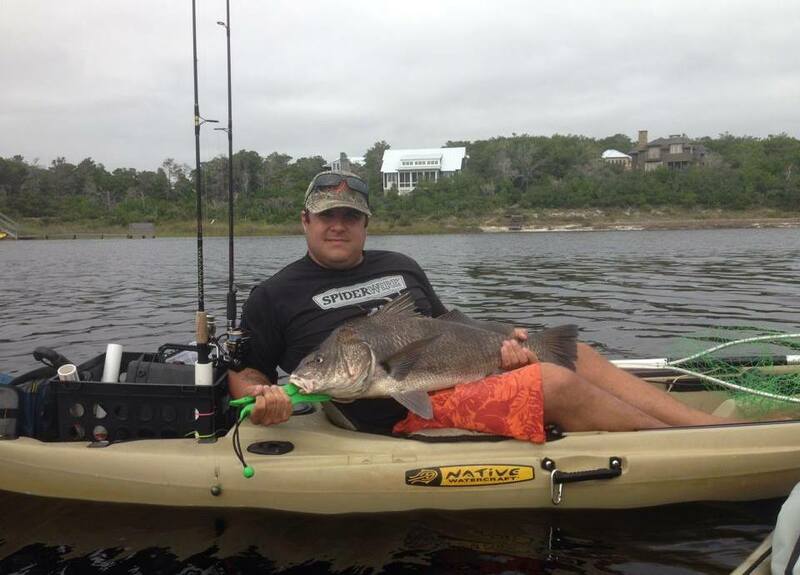 Kayak Fishing in Destin and surrounding areas is one of the best places in Florida to go on a Kayak Fishing Adventure. Whether it be for a family vacation or a trip with some close friends. Destin, Florida is one of the most well known tourist Destinations and over 5 million visitors visit the emerald coast of Florida every year for vacation, work functions, and business ventures. Destin, Florida has been rated in vacation magazine as one of the most beautiful beaches in the World and a World Class Fishing Destination. There are many activities and outdoor recreation options to choose from when visiting Destin, Florida. We are here to provide you with one of the most unique adventures that you will find and that is Kayak Fishing in Destin, Florida. We hope to take you out on a Kayak Fishing adventure and share with you our beautiful beaches and surrounding waterways. 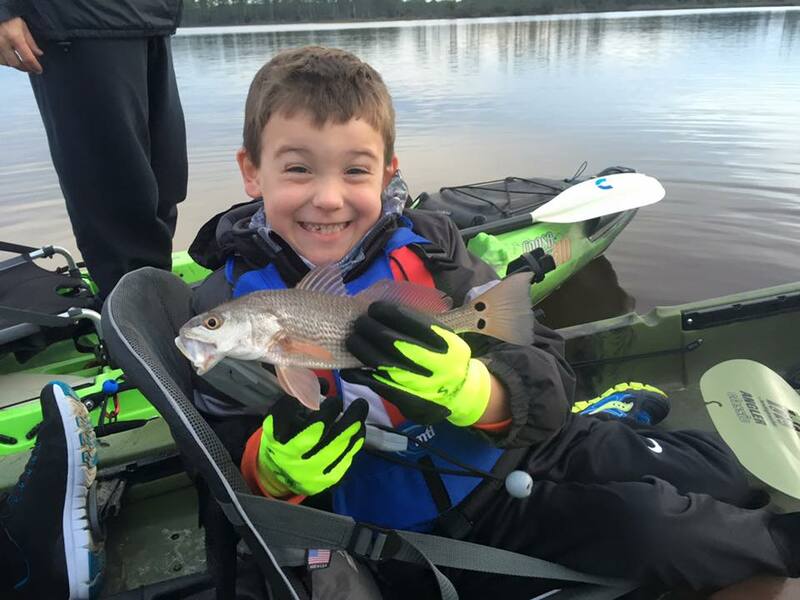 Book a Kayak Fishing Charter with us and we will make sure that you will have the memories to bring back home to share with friends and family. If you cancel within 48 hours of your scheduled trip or kayak rental , no refund fees will be provided. No shows are responsible for 100% of Trip or rental fees. Kayak fishing is supposed to be a fun and exciting experience. Its not about just catching fish but more about being out on the water and enjoying nature as a whole, and it is our job to make sure you are having fun while enjoying the pristine waters of Florida's beautiful coastlines. The nature you will be exploring in will bring you back in touch with what the reality of being a true fisherman and being in the same element as the wildlife that inhabits it, as well as your primal instincts and if its not, then were not doing our job. We enjoy so much in what we do that if you are not satisfied with your kayak fishing charter we will refund your money or schedule you another charter if you choose. We cannot unfortunately cannot guarantee you will catch fish, but we do guarantee you will have many of opportunities to catch fish and will do everything we can to get you hooked up and just have a great time fishing with us. We are all about customer service and try to cater to everyone and their needs out on the water. Whether it be rigging your line with the best lures in bait to grabbing you a drink out of the cooler. Your time is valued while you are out on the water with us. We want you to have a memorable experience to talk about when you get back home to your family and friends.